What can you visit from our house? 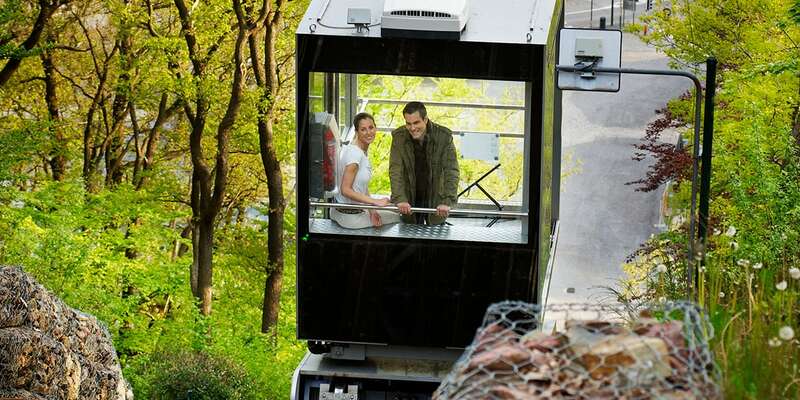 In front of the hotel you can find a funicular which can transport you to the new thermal centre. Your guarantee for a reinvigorating stay, profits from a situation privileged with the door of the « Hautes Fagnes », a famous natural reserve for its healthy and pleasant walks. 50m from the hotel you can find the casino, which is open 7 days a week until 3.00 am. The Royal Golf Des Fagnes is within 5 minutes distance and the Formula 1 track of Spa-Francorchamps is within 10 minutes distance. For more cultural information contact the Tourism Office.